Have you been told by the Department of Labor that you are ineligible to receive unemployment benefits because you "voluntarily left your work for no good cause" or that you were terminated for "misconduct"? The New Jersey Unemployment Appeal Center was created to help guide those New Jersey citizens who have lost their jobs through the unemployment benefits process. New Jersey unemployment compensation provide employees who lose their job due to no fault of their own with a form of compensation while they remain unemployed and continue looking for new work. 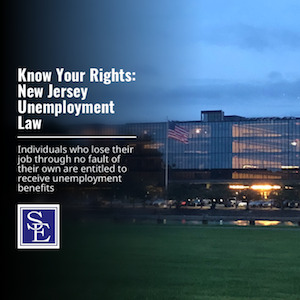 The legislative purpose of New Jersey Unemployment Compensation law is to lighten the burden of unemployment which now so often falls with crushing force upon the unemployed worker and family. In enacting the New Jersey Unemployment Compensation Law, our legislature declared that economic insecurity due to unemployment is a serious menace to the health, morals, and welfare of the people of New Jersey. The New Jersey Department of Labor has a process in order to determine whether an applicant is eligible and the amount and duration they can collect unemployment benefits. 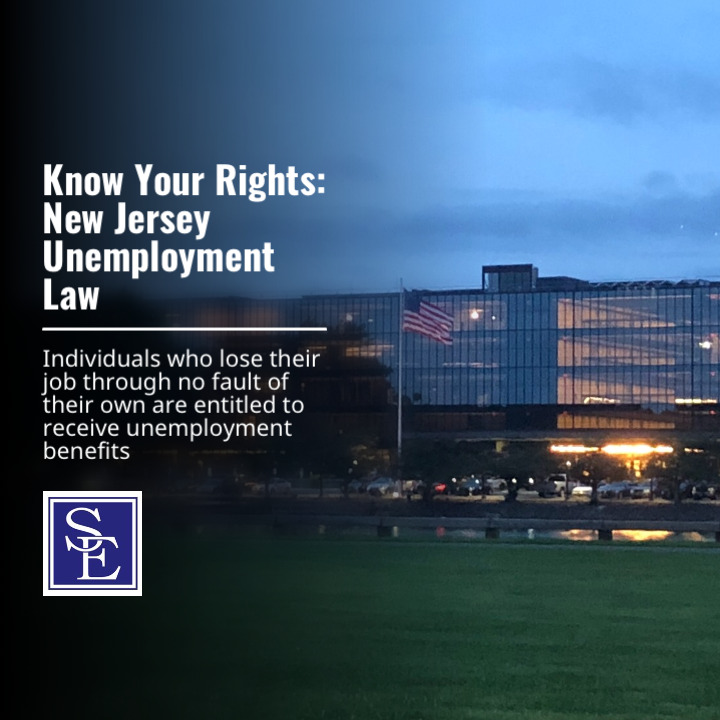 The New Jersey Unemployment Appeal Center provides current information and news regarding New Jersey Unemployment Law to assist the New Jersey unemployed through the Department of Labor’s unemployment benefits process, including through the initial determination and the appeal process. If you need in of legal assistance or representation in connection with your unemployment application or appeal, please contact a New Jersey unemployment attorney at Smith Eibeler to discuss your matter.